Paula J. Burnstein is a family law and divorce at­tor­ney located in Phoe­nix, Ari­zona. She also has a Peoria office location. She has more than 20 years of legal experience, all of which have been solely fo­cus­ed on fam­ily law. She is pass­io­nate about advocating for families’ rights during what can be a very emo­tio­nal time. Paula has re­pres­ented a variety of in­di­vi­duals and fam­ilies th­ro­ugh the pro­cess of mar­riage disso­lution, and she is able to pro­vide com­pe­tent legal ad­vice with care and compas­sion. As a member of the State Bar of Ari­zona, Paula has exten­sive know­ledge of Arizona’s family law and divorce law. As a mem­ber of the State Bar of Ari­zona, Paula has exten­sive know­ledge of Arizona’s fam­ily law and divorce policy. She knows many of the attorneys and jud­ges in town and is well aware of how to best co­un­sel and re­pre­sent you to get you the re­sults you want. In addition to Paula’s legal degree, she has earned a Master’s in Education in Counseling from Northern Arizona State University. Her knowledge of psychological issues gives her an added edge in custody cases. One of the most difficult cases is where one parent makes false allegations of physical or sexual abuse against the other parent. Paula has successfully defended against false claims of physical and sexual abuse. A divorce may be one of the most challenging events of your life, and we want to help. 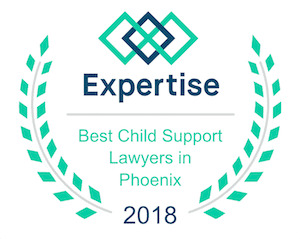 If you are experiencing a family law issue in Maricopa county, please email the Phoenix law office of Paula J. Burnstein, P.C. today to schedule a free 15-minute phone consultation. You can also contact the office online to set up an in-person meeting in our office. No matter where you are in your family law issues, or what support you need, the law office of Paula J. Burnstein, P.C. is here to help. We can represent you in court through litigation or guide you through a collaborate divorce process or mediation. Our range of services provides you and your family with the support you need instead of an out-of-the-box cookie-cutter solution. Divorce, parental rights, custody, and post-decree issues are all in our wheelhouse. We treat each case as the unique situation it is to provide compassionate, professional, and personal support to guide you to a positive resolution. Copyright © 2019, Paula J. Burnstein, P.C.